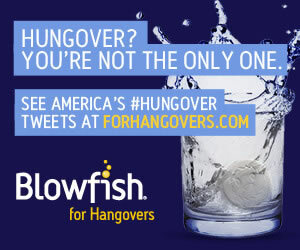 Happy Hour Vitamins are a fairly effective, easy and affordable hangover prevention product. I really love that these capsules have little to no taste at all. I also love that you can take them before consuming alcohol. I tend to forget to take the capsules right before bed. Unfortunately, I didn’t feel like they completely prevented my hangover, but luckily, they lessened the intensity of my hangover symptoms. Overall, Happy Hour Vitamins are an above average hangover cure that provide results, no side effects, and a have money-back guarantee. Happy Hour Vitamins is very simple to use. Take 2 capsules with water before you start drinking. If you have a long day/night of drinking alcohol, take an additional 2 capsules before bed. I love how easy it is to use, but I definitely struggle with remembering to take the capsules before bed after a night of drinking. It didn’t have much of a taste or smell. The lack of taste or smell makes it really easy and convenient to use. I used Happy Hour Vitamins after a night of drinking. After taking the capsules, I woke up feeling better than I deserved. 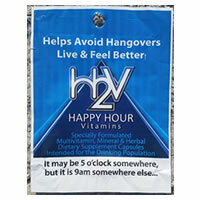 I cannot say that Happy Hour Vitamins completely prevented a hangover, but my symptoms were definitely less intense. I recovered in half the time it normally takes for me to get back to 100% after a night of consuming alcohol. Happy Hour Vitamins contain many ingredients. The vitamins contain multiple antioxidants. For example, it has Acai Berry extract, Goji Berry Extract, and Green Tea Extract. These antioxidants supposedly help the brain deal with the effects of alcohol. The vitamins also contain N-Acteylcysteine which is believed to aid the body by detoxifying the liver. I didn’t experience any side effects. It costs $19.00 for 15 packets. That works out to about $1.27 per serving. Happy Hour Vitamins has 100% satisfaction guarantee. If for any reason you do not like Happy Hour Vitamins, you can return it for a full refund. I love when products have great guarantees like this one.